The latest research from the Supply Chain Sustainability School has found that greater sustainability knowledge in construction and infrastructure supply chains can help to minimise risk while also providing higher quality outcomes – all at no additional cost. The findings found that 52 percent of survey participants said that sustainability has become more important to their businesses in the last year. Furthermore, 49 percent of those surveyed say they have begun to engage their suppliers earlier, while 72 percent of surveyed companies claim they now have a sustainability program or plan in place. According to Robin Mellon, CEO of the Supply Chain Sustainability School, the study shows that there are a range of benefits from properly managing your supply chain – especially for companies working in the built environment. “Buildings and their associated supply chains are a major source of greenhouse gas emissions - during construction and during operations,” said Mellon. “As an industry, we generate over 19 million tonnes of waste from both building and demolishing. This equates to more than 1.3 times all the municipal solid waste generated across Australia,” she said. 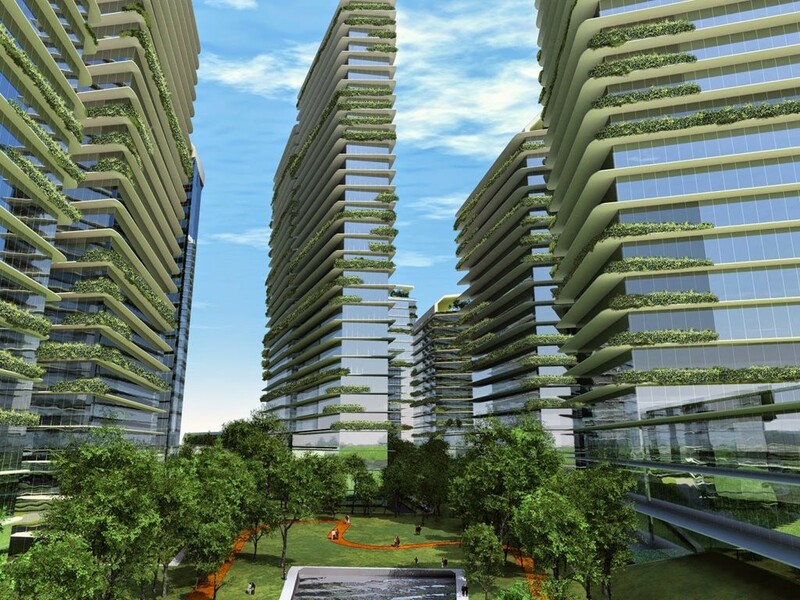 “The built environment is also responsible for 30 to 50 percent of global energy consumption and in Australia, it accounts for around 23 percent of greenhouse gas emissions between the commercial and residential sectors,” said Mellon. To combat this growth in supply chain generated greenhouse gases, companies such as John Holland, working closely with their supply chain to raise sustainability knowledge, improve resource efficiency and reduce greenhouse gas emissions over the life of assets. "Whether we're undertaking major infrastructure projects such as the Canberra Metro Stage 1 (Capital Metro) or building projects such as the University of Tasmania’s Institute of Marine and Antarctic Studies (IMAS) in Hobart, John Holland works with small, medium and large organisations to educate them about sustainability issues and lower greenhouse gas emissions", said Renuka Sabaratnam, group head of sustainability for John Holland. “Working in partnership with a more engaged, educated, and empowered set of suppliers helps us deliver our ambitious targets like reducing carbon emissions by installing 1MW of renewable energy by 2018 and being Net Positive (energy and water) by 2030,” said Sarah Clarke, group general manager, sustainability & reputation at Mirvac. “There is a growing appetite for sustainability skills across our built environment, across Green Star projects, and across Australia’s supply chains,” says Romilly Madew, the CEO of the Green Building Council of Australia, which is a founding partner of the School. “Better educated businesses mean better, greener buildings and more sustainable communities,” says Madew. This research ties in with other studies done over many years across several countries which found a range of correlations between supply chain management and sustainability, including an often-quoted 2010 US Environmental Protection Agency (EPA) study that found more than three-quarters of greenhouse-gas emissions originate in the supply chain. “Everyone involved in the building lifespan, has a supply chain, from the landlord to the utilities to the people who carry out fit-out or minor works, to the suppliers of operational materials and services - if every single link in those supply chains were to be more sustainable, you'd have much, much more efficient, productive and buildings,’ said Mellon. “That just makes better business, environmental and societal sense.” she said. The full Supply Chain Sustainability School report is available here.